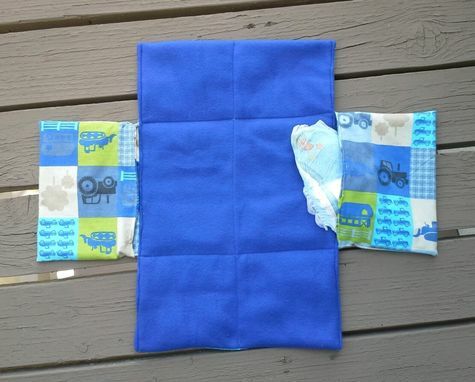 This all in one case makes diaper changing on the go a little more organized. Easy to fold and unfold one handed, very helpful when wrangling a squirmy baby or toddler. 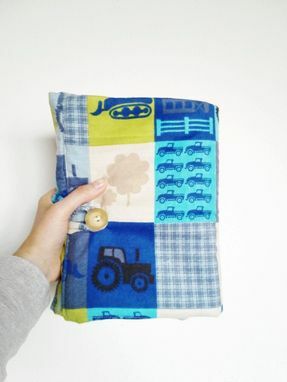 The cotton flannel and fleece changing pad unfolds to triple its size and has 2 fold out pockets, made to fit a wipes case and up to 4 disposable diapers or 2 cloth diapers. Vintage button with loop closure. Soft fleece on the inside for baby to lay on. 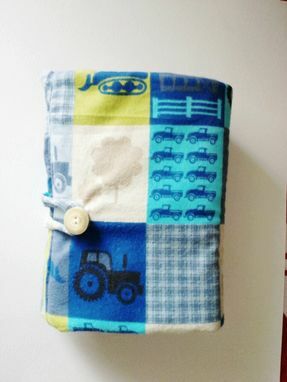 This case folds up to 7 inches wide, 10 inches tall, and should fit comfortably in a tote or diaper bag. When unfolded the pad measures 23 inches long, 13 1/2 inches across. 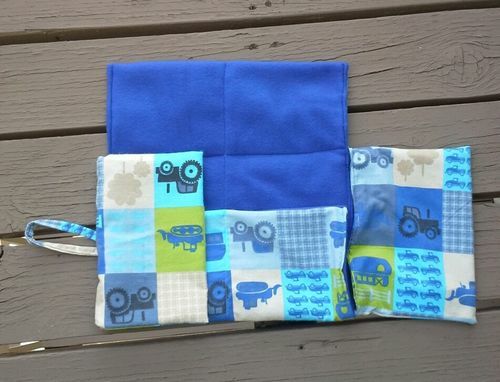 Pockets measure 9 inches wide, 6 inches tall- fits plastic wipes travel case. Easy care- Machine wash and tumble dry. 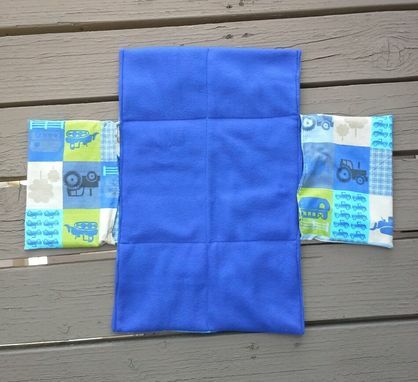 100 percent cotton fleece outside, with fleece pad.